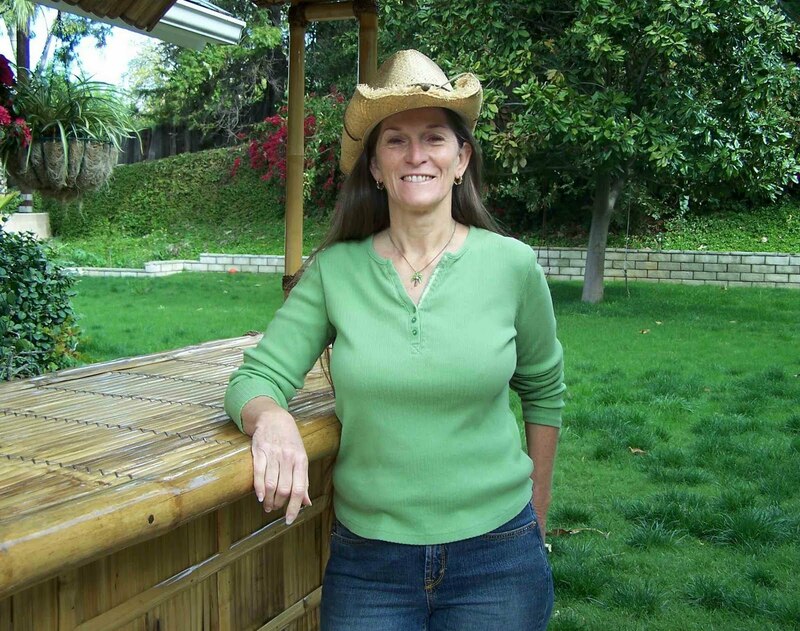 Today we welcome attorney and author Teresa Burrell to our blog for a Virtual Book Tour. Her second mystery, The Advocate's Betrayal, centers on female sleuth Sabre Brown, a legal advocate for children, who is faced with solving the murder of a close friend. Teresa herself has practiced law, both in her own private office and also in juvenile court, representing abused minors as well as juvenile delinquents. She's put in countless hours doing pro bono work with children and their families and earlier worked as a teacher. NR: I see you have had several careers. Could you tell us a little more about them? TB: My first career was as an educator. I taught elementary school for twelve years. My second was in the legal field where I practiced law for twelve years, and primarily represented abused children. I had a third career as a business woman for about twelve years. And, of course, my most recent one is as an author. My first book was released just a year ago, so if I consider that as my start date, I figure I have about eleven more years at this. NR: Is there something magical about the twelve years? Did you plan to change careers every twelve years? TB: No, I didn’t really plan to make any career changes, and certainly not for any specific time. I think it just happens to be the amount of time it takes for me to feel like I have mastered what I’m doing, at which point I seem to need a new challenge. It’s not like I start a career and think, “I’m going to do this for a while and then move on.” But there have always been so many things I’ve wanted to do with my life and so when I feel like I need something new, I just do it. NR: You’ve made some pretty major life changes with your careers, were you ever afraid? TB: Not afraid really, but anxious sometimes, especially when things didn’t go well for some reason. But I’ve always kind of done things because I didn’t know I couldn’t. The changes haven’t always been easy and sometimes came with a great deal of sacrifice but better things always seem to come with each change. NR: How were your career changes more or less difficult than other major life decisions? TB: I think my career changes were much easier than some of the other decisions in my life because they didn’t involve as much emotion. I could calculate the time and money it would take to make the change. I could estimate the financial payoff, and I could even factor in other things that I thought I would like or not like about the new career. But matters of the heart and family life decisions take a lot more out of a person. Those are the really important decisions one has to make in life. NR: Your second career, you worked with abused children in juvenile court. I see your protagonist, Sabre Brown, is also a child advocate. Why did you choose to do that? TB: I chose to work with abused children because I can relate to many of things those children have suffered through. I chose to make Sabre a child advocate because I think it’s important that people know about the amount of child abuse that still exists in this world. As a result, hopefully they will help to prevent it or give their time to help deal with it. But I don’t think many people would want to read a book that just tells us about the awful things that some of these precious children have to endure. It’s just too heart wrenching a subject. But writing it in a mystery, without being too graphic, will hopefully teach something, and at the same time, provide entertainment. NR: What have you found most fulfilling about each of your careers? And have you enjoyed one more than the rest? TB: In my first two careers I was able to work with children and hopefully make their lives better. I still hear from a lot of the students I taught as well as minors I represented, and they often surprise me with their wonderful comments that indicate I did make a difference in their life, and that is certainly rewarding. But having my own import business was exciting and very different from anything else I had ever done. And of course, writing a novel has been a dream for some time, but the dream was to put it all down on paper in a logical order from start to finish. The dream wasn’t to become a published author. That came after I wrote the novel and realized how much fun it was to write. Now, the thrill for me is when I hear from a reader that they enjoyed the book. That inspires me to keep writing. 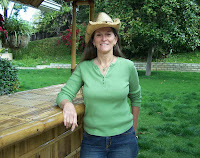 NR: Your most recent career, writing novels, how has that been different than the others? TB: There’s more alone time, but not entirely, because I do a lot of book signings and speaking events where I get to interact with people. But the writing part is definitely done in complete solitude, which I enjoy. I never had that with the other careers. NR: Where do you get your storylines? Your characters? TB: My plots have been based on real cases, but they are definitely fictionalized. My characters are compilations of people I have met over the years and people I see in everyday life. I like to people watch and when I see something odd or a little different, it often ends up in one of my characters. NR: Have your earlier careers helped you with your writing? TB: Everything I’ve ever done or seen in my life has helped me with my writing. Readers are smart and fiction has to ring true or readers won’t accept it. My careers have really helped me to understand human behavior and that certainly makes it easier to develop a fictional character. NR: Are there any careers you wanted to do, but didn’t? TB: I always wanted to be a flight attendant. I even applied once when I was in college, but they had a height requirement and I was about an inch too short. But I think the attraction was really about being able to travel the world. And now as an author I can do both. I get to travel a lot to book signings, speaking events, and conferences and I can write anywhere. So, I think being an author has taken care of that particular need. NR: If you were to do it over, what would you change and why? TB: I wouldn’t change much in my life, especially in my careers. Any changes I would make would be in my personal life. I made a few mistakes along the way that I would certainly do differently, not that I would change any end results but I might change the way I handled things. I would spend more time with loved ones. That’s one of the reasons I stopped practicing law—to spend more time with my family. NR: What do you see for your future? What are your goals - both practical and absurdly hopeful? TB: I think this is probably my last career change. That’s not to say I won’t keep fulfilling dreams and having adventures. My present goals are to keep writing the Advocate Series until my readers don’t want it any longer. I have hopes of one day being on the New York Times Best Seller list, but then doesn’t every published author? NR: What advice do you have for other women who want to make career changes? NR: Teresa, thank you for sharing, so generously, your experiences with us. 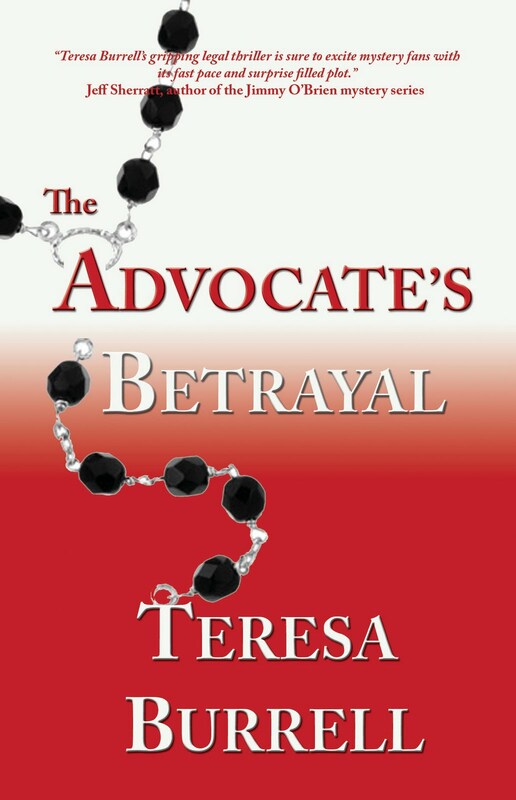 We've enjoyed reading The Advocate's Betrayal and look forward to your next mystery. Readers, now is your chance to ask Teresa about her careers, her book, her life. Just click on the "Comments" link and let her know what's on your mind. This week we'll be hosting a virtual book tour with Teresa Burrell, an author who has worked at several different jobs and has also enjoyed careers as an attorney and a teacher. She's not alone in her journey. According to a national longitudinal study conducted by the Bureau of Labor Statistics, baby boomers in the workforce tend to have an average of about 11 different jobs during the first 25 years of their productive work time. Although the conventional wisdom has been that people change careers today somewhere between 3 and 7 times in their life, the Bureau has never tried to determine the number of times Americans actually do change careers because it is hard to define exactly what constitutes a career change. Have you ever thought of making a career change yourself? What are the barriers standing in your way? When you are able to identify some of the challenges ahead, you can begin to outline the steps you need to take to move forward in your quest. You can learn more about how to confront these obstacles by consulting articles on our Her Mentor Center website. What are your passions? Think about what has defined you, what raises your level of enthusiasm. When you are excited about what you do and the way you spend your day, you will experience the sense of flow that accompanies the energized focus you have in your activity. What are your skills? You can build on the skills you have already developed as you transfer them into new areas. Brainstorm with friends about how your expertise in one sphere can be expanded into others. And look at the means at hand to educate yourself in new techniques, drawing on your innate abilities and specific aptitudes. What are your resources? Just as inner character strengths serve as your foundation, you have external supports in the form of family and friends. You don't have to accomplish the transformation alone. Make a list of the reserves available to you and draw on them. It'll be a win-win experience for all of you. Be sure to check in with us on Wednesday - you can join in the chat with Teresa Burrell about her own career change and the two mystery novels that have come out of it. Redefining a crisis as a challenge gives you the power to begin, step by step, coping with the situation. See the changes you need to make in this economy as the opportunity to create a more fulfilling life for yourself and your family. Recognizing your strengths and resources keeps you optimistic and resilient. Click on the NourishRelationships YouTube video for 10-second tips about keeping your perspective in this recession. When you are able to remain upbeat about your future, you can take advantage of opportunities that may open up to you. Although jobs are scarce, there are some that may become available. For more tips about how to stay positive during this economic recession, check out our ebook, Taking Control of Stress in a Financial Storm, available on our Her Mentor Center website. And visit our website's Family Relationships archive library for other articles to help you learn to nurture yourself. You've probably noticed that the economic downward spiral has affected more than your pocket book. For most of us, it has also taken a toll on our feelings of well-being and security. Reports indicate that mental health calls due to financial pressure have increased more than 100% since the crisis began. If you are feeling signs of distress, check out these NourishRelationships YouTube video tips about how to nurture yourself. You'll learn how to take better care of yourself and create a healthier lifestyle for you and your family - even during this financial downturn. In these times of economic instability, when you may be feeling insecure and powerless, you'll find your friends and family can buffer these negative emotions. Reach out to those who care about you and let them know how much their nurturing sustains you. Expressing your gratitude for their support is good for both you and them - each of you will grow stronger and more powerful. Watch a NourishRelationships YouTube video today for 10-second tips about asking for and receiving support. Even Sandwiched Boomers, caring for growing children and aging parents, can learn to request and gain help in managing their family in flux. If your stress levels increase as your financial stability decreases, our ebook, Taking Control of Stress in a Financial Storm, available on our Her Mentor Center website. And visit our website's Family Relationships archive library for other articles to help you learn to nurture yourself. News about the economy continues to be gloomy. Unemployment figures still languish near 10 percent, home foreclosures persist unabated and bankruptcy is the only feasible alternative for many Americans. As the election season moves into high gear, it reflects the mantra of 1992, "it's the economy, stupid." Funds are hard to come by and even battered ones are appreciated. Actually thriving during an economic crisis may be impossible to achieve, but you can learn techniques to help you deal with these difficult times. All this week, you'll find video tips here to help you cope with the current economy. You can get started with this NourishRelationships YouTube video. Even with the weak recovery we are experiencing, you and other Sandwiched Boomers can regain some control over your situation by educating yourself, evaluating your finances and making the hard decisions that lead to changes in your lifestyle. For more coping tips about how to put yourself back in charge, watch another NourishRelationships YouTube video. And if you want to learn how to maintain and even strengthen your family relationships during this time of financial belt-tightening, you can purchase our ebook, Taking Control of Stress in a Financial Storm, available on our Her Mentor Center website. After you've said goodbye to your college kids, it's time to say hello to you. Imagine that you're the woman in the photo below, journaling your way into the next chapter of your life. Engage in an active process of learning more about what you want to do. What nurtures your creative thinking? What stimulates your curiosity? Identify your natural talents. What comes so easily you often don't notice it? How about the acquired skills you have used successfully? Think about what you consider to be your greatest personal strengths. These could encompass, among others, attributes as diverse as a love of learning, a sense of humor, loyalty to others. Discover what you feel passionate about. What do you really value and care about? What are your dreams? What do you imagine is your life purpose now? Take advantage of the extra time and follow your dream of returning to school or changing jobs. Join a hiking group, volunteer program or exercise class. Learn more about bridge or yoga. Put yourself front and center for a change. Consider how others view you and your contributions. Who uses you as a role model and why? What in your life experience has led you to wisdom? Honor these insights and find ways to share what you already know well with others who could benefit. Now, finally, it's about you. So decide to make a start - any start. Write out some specific goals and break them down into manageable short term objectives. Reflect on their purpose and what that means to you. Consider your character strengths and personal resources – and how they will help you achieve your goals. Want an example of what to expect at Parents' Weekend? When packing for the events, don't forget to take along your new attitude. It will help ease your college student's mind about how you're adjusting. We encourage you to spend time looking around our website, HerMentorCenter.com. You'll find information on all aspects of family relationships by clicking on 'Newsletter Library' and 'Nourish Relationships', and then on the specific subjects that interest you. Write us about your concerns and ask some questions - click on 'comments' below this post and then follow the prompts - we want to hear from you! These are tough times, with so many baby boomers suffering from unemployment, money problems and foreclosure. There are plenty of reasons to feel anxious and sad. And if you're dealing with the empty nest, that may feel like the last straw. Give yourself an emotional break and see what happens. Understand that even though your kids have moved out, you're still needed although not in the same way. Letting go of your parenting responsibilities means letting go of the family role you've played so far. Sit back and breathe in deeply as you appreciate this opportunity to create different relationships within your family. Practice letting go. Cry if it helps - it's natural to feel plenty of emotion at this turning point. Try to visualize one door closing and another door opening. Relax into feeling more calm and carefree. Let yourself get excited by the possibility of exploring what you want to do with all the free time you now have. Decide to write regularly in a journal. As you think about all that is happening in your life right now, you will naturally acknowledge the pressure you're feeling. And by identifying and dealing with what is going on for you emotionally, you'll learn to take more control over this process of change. You'll find that journaling is a great tool for reducing stress and increasing self-awareness. The Newsletter Library of HerMentorCenter.com is packed full of information that can help you move forward. You'll learn from other womens' experiences. And then why not buy Taking Control of Stress in a Financial Storm for only $2.45 - it will change your attitude and help you cope in these difficult times. When you dropped your kids off at college, were you the one dragging your heels? This generation of parents has been described as clinging, especially when they refuse to leave the campus. In fact, a number of college administrators have introduced blunt language into orientation schedules, including a specific time to say goodbye. The message is clear: release your anxieties and your adult children to this adventure, and enjoy the ride yourself. The lesson, not taught in the traditional curriculum, is about letting go. Parenting expert, Michelle Borba, gives practical advice for parents of college bound kids. Some colleges have developed parents-only workshops for those who are intensely involved in their child's academic career. Liaisons give explicit advice on how to minimize the pain of separation and hovering behaviors. 'Velcro' parents may be invited to a reception while the students meet their roommates and begin to settle in. Read more about this in the New York Times. Does all this feel like a conspiracy to exclude you? After all, it's almost as big a transition for you as for your kids. But as you say goodbye to your adult kids, learn to say hello to yourself. Recognize that you may feel ambivalent about this new chapter. Bond with friends as you discuss your situation with those who care about what you're going through. You'll discover that you have a lot in common and that they feel the same about their own experiences - this can be validating and comforting. 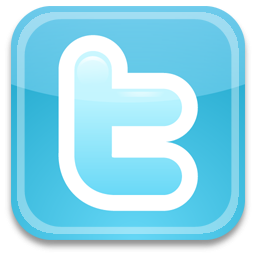 Log on Wednesday for practical ideas about how to put yourself front and center. Click here right now to get started today. On HerMentorCenter.com, you can read lots of articles about family relationships, sign up for our complimentary newsletter and download a free ebook about how to reach your goals. Plan to Return to the Workforce? In the current economic downturn, many mothers are planning a return to work to make up for their partner's lost income. If you're one of them, you'll need to create an opportunity to focus your energies and see yourself from a new perspective. Stories of other women who have gone through this challenging process can provide helpful insights and thoughts. Once you begin, your experience will give you the incentive to continue. If you're still feeling overwhelmed about where to start, you can find helpful video tips about how to re-enter the workforce after being a stay-at-home mom and how to prepare for a job interview. And if you want to find the best company for you, Working Mother magazine has compiled several lists to point you in the right direction. Review how you have dealt with other major changes in your past. What have you learned from your life experiences? Recall what worked and employ the most effective coping strategies once again. Discard what didn't. Assess your strengths and how you have used them in particular situations before. Has your curiosity or love of learning encouraged you to gather information from the Internet, books or seminars in order to facilitate your decision-making? Whereas certain strengths may come naturally to you, others may have to be developed through hard work. Evaluate how you can build on your assets now. Don't give in to pessimism, even when solutions seem impossible. When you're faced with difficulties, hang in there as you let go of negative thoughts and preconceived notions of failure. Utilize your personal character strengths - like persistence, hope, integrity, creativity, spirituality - to carry you through. When you create a more positive attitude, optimism will likely follow. Use your power to turn your beliefs, step by step, into positive "what ifs." Expect to fail sometimes. And when you do, pick yourself up and start over again. Everyone has suffered disappointment along the way - but that has not been the end of the quest. Are you holding on to unrealistic expectations, an unfounded criterion of perfection, an intolerance of anything less than total success? You can learn more from failure than success and treat your setbacks as teaching tools. As you do, you will become more resilient and adaptable. Align yourself with a higher purpose. You can build a meaningful life for yourself and your family as you form a strong connection to community, country, the world and a spiritual power. The support you gain from these bonds can ground you and give you the strength you need to continue through tough times. Enjoy your successes and thank those who have helped you. Reward yourself when you reach a significant target and savor the feelings of power that come from your achievement. You deserve it. When others nurture you, expressing your gratitude makes both you and them feel good. Saying "thanks" creates a win-win situation for everyone. As you begin this journey, trust yourself and your own wisdom as you integrate the changes and create a new and positive direction in life. You may find it hard to get started and even more difficult to keep the forward momentum going. The initial goal may be to uncover the courage to begin the process. If you are looking for some positive role models for success, sign up for our monthly newsletter, Stepping Stones, and receive our free ebook, Courage of Lessons Learned: Reaching for Your Goals. You'll find the inspiration you need to make this the best time of life. Now the summer is over and the kids have gone back to school, are you thinking about re-charging your career? That might mean a renewed dedication to your current position, consideration of a job change, or starting your own business. If you're re-entering the workforce after a layoff, the issues can be even more complex. Find your unique passion and cultivate it. What brings you joy and the ability to be fully engaged in your job? Recognize the creativity and excitement that emerge as you follow your dreams. When you are in flow, you won't notice the day flying by as you immerse yourself in your projects. Set carer goals that you can accomplish. Work hard at your job and treat it with the significance it deserves. However, if you are a parent, remember that your work at home is just as important as your career. Pay attention to what is going on in your family and have contingency plans for how to keep members feeling secure. Put in effort and practice hard to excel. When you strive for your personal best, repetition becomes you partner in success. Set long-term goals as well as realistic and incremental steps to reach them. Give yourself credit when you achieve an objective and, as you set the next one, aim to move ever closer toward your ultimate goal. Brainstorm and think outside the box. Be creative when you are faced with a complex situation. Often you can improvise when a solution doesn't readily appear. Use your skills to develop resiliency. Your first plan may not work but keep revising until you have plans that you can implement. Bring all your resources into play. Draw upon you friends, extended family and available community services to help you through the challenges you are facing. Learn to cooperate with others and use teamwork as you strategize and move toward accomplishing your objectives and goals. Relish the support that comes from those who care about you. Another resource for you is our website, Her Mentor Center. Visit often for support, information and direction as you manage your career and cope with the demands of your family-in-flux. In this tough economy, you'll find our ebook, Taking Control of Stress in a Financial Storm, provides you with practical strategies for success. Labor Day has been celebrated in the U.S. on the first Monday in September for over 125 years. While it began in recognition of workers in labor unions, most people today consider today as the symbolic end to summer and the beginning of the school year. For many women, both work and children going back to school are significant issues that come together this Labor Day. Today, 60% of women work outside the home, that figure rising to over 75% among women ages 25 to 44, the average child-bearing years. Most of these women are employed by others yet over 9 million own their own businesses. Women who have returned to work after having children often say that their greatest difficulty is finding the time to do everything else they need to do during non-business hours. At the same time, they believe that the perspective they gain from having a family and setting priorities makes the stressful issues at work easier to manage. On our website, Her Mentor Center, you'll find practical ideas about grappling with tough times and gaining greater resiliency yourself. So enjoy the holiday and your day off - let someone else man the barbeque - and check back in later this week for some tips to help you handle the challenges of your job while you are balancing it with your roles as partner and mother. September is National Women's Friendship Month, so take the time to recognize and nurture the friends who play an important role in your life. Midlife is a great time to reconnect. When you're young, friends help form your identity. As a teenager, with the need for acceptance by peers, your self esteem is impacted by how they see you. Later on, when your family becomes more self sufficient, friends often return to the forefront. And as you plan the next chapter of your life, you can turn to them for guidance and comfort. Here's an article from the New York Times about the mutual admiration and friendship between tennis champions Chris Evert and Martina Navratilova that grew stronger the more they competed against each other. Results from a number of research studies support the value of friendship. Having good girlfriends lowers our stress, enhances our moods, protects us from diseases, increases our self confidence and actually even helps bring healing to our bodies. Whether you exchange emails daily, meet for coffee once a month or spend an annual weekend away, make a concerted effort to spend time together. Grow into the closeness, understanding and trust at the heart of women's friendships - it's one of the best gifts you can give to others as well as yourself. Log on to the online community for women, Girlfriendology.com, and be inspired to appreciate and celebrate your friendships. As boomer women in the sandwich generation who are caring for parents growing older and kids growing up, your life may be full of challenges - especially in this tough economy. In times of need, who is it that you turn to? Receive as well as give support. Perhaps it's hard for you to ask for help if you’re the one who usually provides it. You may think that your strength in coping comes from not needing to depend on others. Friends buffer the effects of distress as well as provide meaning and purpose when you're feeling upset. But they can support you only if you let them in. So try on the behavior. Gaining the courage to reach out can actually enhance your sense of self. Women’s relationships can be complicated. No one friend can meet all of your needs all of the time. Notice if what you expect from each other tends to lead to misunderstandings. Be straightforward and confront conflicts head-on. And if you're feelings get hurt, talk about it before resentments build. Lower your expectations. Relationships change throughout life but that doesn't mean they have to end. Recognize that, with balancing work and family, certain standards may be hard to maintain. But other influences for both of you can enrich your friendship, if you're willing to be realistic and patient. Want more information on this subject? 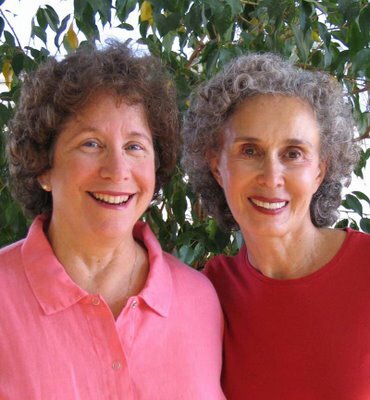 Here's an article in the Huffington Post by Dr. Irene Levine, who wrote Best Friends Forever: Surviving a Breakup with Your Best Friend. And this one is about the physical and psychological benefits of friendship. Here's the Home Page of our website, HerMentorCenter.com. Look at the menu on the lefthand side of the page and spend some time in the Newsletter Library, Family Relationships and Video Library. If you sign up for our free newsletter, you can download a complimentary ebook about how to reach your goals. And for only $2.45, why not buy our ebook, Taking Control of Stress in a Financial Storm: Practical Strategies and Resources for Success? There's lots of practical and easy to use tips on our site just waiting for you!